Spray & scrub without skipping a beat! 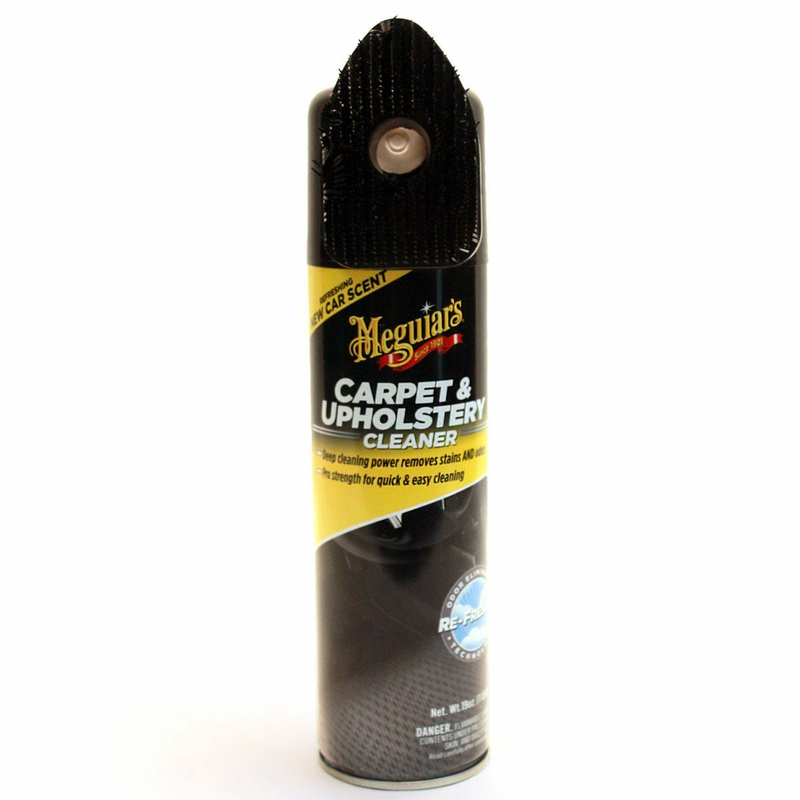 Whether you are looking to clean one stain or freshen the entire interior, Meguiar's Carpet and Upholstery Cleaner is perfect for the job. Active foam quickly penetrates & dissolves stains from the bottom up for deep down cleaning. This effective blend of cleaners and surface active agents removes the toughest stains and helps to restore a like-new appearance on car carpet and upholstery. The newly redesigned canister now comes with a carpet scrubber top that helps deliver improved cleaning ability. This effective formula also contains odor eliminating Re-Fresher Technology to permanently* remove odors while leaving behind a refreshing New Car Scent.